Wayne County, Michigan's bond financing program is managed by the Office of the CFO. 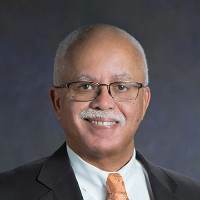 Warren C. Evans was elected as Wayne County’s 4th County Executive in 2014 with a strong mandate from voters to restore ethical leadership to Michigan’s largest county as it faced a financial crisis. Mr. Evans restored fiscal stability to Wayne County as it eliminated a $52 million structural deficit and $82 million accumulated deficit while exiting a consent agreement in just 14 months, when many thought the County was headed to bankruptcy. That progress continues as Wayne County has produced three consecutive budget surpluses, increased funding for the County’s pension system, and reduced unfunded health care liabilities by nearly $1 billion. Wayne County’s financial turnaround has earned repeated credit rating upgrades from three Wall Street credit agencies: Moody’s, Fitch Rating and Standard & Poor’s. Dachowitz brings over 40 years of experience as a finance professional to the position, including four years as Treasurer of Nassau County, New York, where he led a nationally-recognized financial turnaround. As Nassau County's Treasurer from 2002-2006, Dachowitz produced four budget surpluses and achieved 11 bond-rating increases. He was also responsible for computerizing their debt tracking system and established a compliance department to ensure greater accountability of tax dollars. Prior to joining Wayne County, Dachowitz was the founder and CEO of his own financial and management consulting firm, Expert CFO Advisor. Has experience working in student loan finance and municipal debt restructuring and bankruptcy. Prior to that worked as managing director of Education Finance for Llama Company and vice president in the public finance division of Rauscher Pierce Refsnes, Inc. Specializes in taxable and tax-exempt transactions for general municipal issuers at both the state and local level, higher education institutions, and not-for-profit student loan programs. Prior to joining the firm, Ben was with Edward Jones for 2 years where he served clients across Michigan and Ohio. 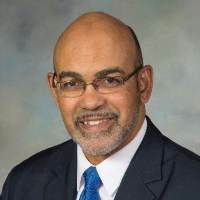 He spent seven years in the public sector with the Michigan Department of Treasury and the Michigan Finance Authority, structuring municipal bond transactions in support of various State level programs. Began his career as a quantitative analyst assisting in the structuring of municipal bond issues. General government (General Obligation, Sales Tax Revenue, Certificates of Participation, Utility Revenue), transportation, and special district financings, including fixed rate and variable rate debt, and private placements. Has worked with clients including, but not limited to, City and County of Denver, State of Colorado, Regional Transportation District (Denver), Colorado High Performance Transportation Enterprise, the City of Westminster, the City of Greeley, Town of Castle Rock, Brighton School District 27J, and the Charter County of Wayne, MI. In addition to his time at Piper Jaffray, Mr. Simmons worked for Wells Fargo as a portfolio manager in their institutional trust group and as a consultant for William M. Mercer Investment Consulting.